In November 2011, Rock Advertising began to occupy offices which were managed by MWB Business Exchange Centres. Rock were unable to meet the licence fee, and within a few months had fallen into arrears of over £12,000. On 27 February 2012, Rock proposed to defer some of its payments to MWB. The result would be that MWB would recoup the arrears, but at a later date, losing interest on the money in the meantime. In a phone conversation, MWB’s representative initially accepted the proposal. However, after consulting with her manager, she later emailed Rock purporting to reject it. On 30 March, MWB locked Rock out of the office for non-payment of the arrears, and gave notice to terminate their licence. The question was whether Rock could enforce the 27 February agreement. The first problem with the agreement was that the original contract had contained a clause providing that it could only be varied in writing (a no oral modification, or NOM, clause). Since the purported variation had been made over the phone, MWB argued that it was unenforceable. The effect of a NOM clause has been a vexed question for some time. In one way, it simply raises a standard omnipotence paradox. As Homer Simpson put it, could Jesus microwave a burrito so hot that he himself could not eat it? If the parties’ will is paramount, can they make a contract term so binding that even they can’t vary it? The Court of Appeal ( EWCA Civ 553) thought that they could not. It would be an infringement of the parties’ autonomy if they were not allowed to dispense with their NOM clause in any way they wished, including orally. By making the oral agreement, MWB and Rock had clearly intended to disapply the NOM clause, so it did not preclude them from enforcing the 27 February agreement. The Supreme Court, however, disagreed. As Lord Sumption, who gave the majority judgment, explained, ‘the real offence against party autonomy is the suggestion that they cannot bind themselves as to the form of any variation.’ He pointed out that ‘nearly all’ contracts restrict the parties’ future autonomy; indeed, this is the whole point of making a contract. Thus, ‘party autonomy operates up to the point when the contract is made, but thereafter only to the extent that the contract allows.’ The parties could bind themselves to a specific form of contract variation in the same way that they could bind themselves to any other future course of action. For Lord Steyn, the consequences of these expectations are relatively thick: they entail, for example, that there is a ‘powerful’ presumption ‘in favour of the fair solution’ to a contractual dispute. Lord Sumption, on the other hand, has made it clear that ‘fairness has nothing to do with commercial contracts’: hence his view that only ‘overriding reasons of public policy’ can interfere with the parties’ intentions. This echoes pronouncements made in the 19th century heyday of will theory: that the ‘paramount public policy’ is that the courts ‘are not lightly to interfere with this freedom of contract’ (Printing and Numerical Registering Company v Sampson (1874-75) L.R. 19 Eq. 462). Lord Sumption’s reasoning is likely to offer succour to proponents of a ‘minimalist’ contract law, who see the courts’ role as merely rubber-stamping and enforcing the parties’ intentions, however unreasonable or unfair they may be. The second point raised by MWB is a more interesting one, since it concerns not just an internal paradox of will theory, but the relationship between the theory and other contract law rules. Here, the problem was caused by the doctrine of consideration, which has always posed difficulties for will theorists. Since the 16th century, English law has required every enforceable promise, if not made by deed, to be supported by consideration: that is, the promisor must have received some benefit in exchange for her promise. But on a will theory analysis, it is difficult to explain why a seriously-intended but gratuitous promise should not simply be enforceable. In this case, the problem was that the 27 February agreement appeared to be lacking consideration. 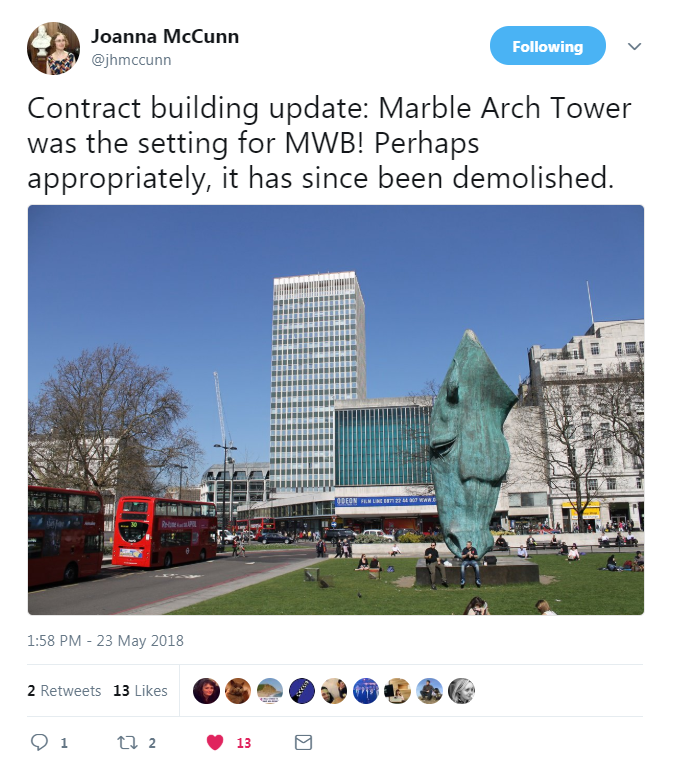 MWB did not seem to be obtaining a benefit from the new arrangement, since they would, effectively, receive less money than they had originally been entitled to. But the Court of Appeal, somewhat surprisingly, found that there was consideration for the agreement. MWB gained the ‘practical benefits’ of recovering its arrears and keeping a licensee in the offices, rather than having them stand empty. The court relied on the reasoning in Williams v Roffey Bros  1 QB 1. In that case, a builder had agreed to pay his sub-contractor additional money to complete the original job. It was held that there was consideration for this promise, although the builder was gaining nothing new, because he would receive the ‘practical benefits’ of avoiding a penalty for delay and the expense of finding a new carpenter. These are understandable concerns. However, the court’s reticence is unfortunate, because, as Lord Sumption hinted, the case law is something of a mess. In order to follow Roffey Bros, the Court of Appeal had to depart from a line of authority dating back over 400 years. The courts have repeatedly held that the part-payment of a debt is not, by itself, good consideration for the waiving of the full debt, no matter the benefits that attend it. In Foakes v Beer (1884) 9 App. Cas. 605, for example, Lord Blackburn observed that the prompt payment of part of a debt was often more beneficial to a commercial party than delayed payment of the whole. However, it was still not good consideration. In Re Selectmove  1 WLR 474, Peter Gibson LJ held that Roffey Bros-type reasoning was precisely what the House of Lords had rejected in Foakes v Beer. The Court of Appeal vaulted this obstacle in MWB by explaining that both Foakes and Selectmove were cases where the benefits to the creditor flowed solely from receiving the part-payment. Here, on the other hand, there was the additional benefit of keeping a tenant in the property. However, this distinction is, as Lord Sumption noted, ‘somewhat forced.’ Janet O’Sullivan has pointed out that MWB were in fact doing their utmost to get Rock out of the property, making it difficult to see their retention as a benefit at all ( LQR 191). As a result, the line between Foakes and MWB is exceedingly difficult to draw, and it is disappointing that the Supreme Court could provide no guidance on the issue. The Supreme Court’s approach to NOM clauses, however, might provide us with some indication of their likely attitude towards the consideration issue. As we have seen, Lord Sumption emphasised the need not to ‘obstruct the legitimate intentions of businessmen, except for overriding reasons of public policy.’ Very much the same rationale was given in Roffey Bros for the relaxation of the doctrine of consideration. Russell LJ, for example, held that ‘the courts nowadays should be more ready to find [consideration] so as to reflect the intention of the parties to the contract.’ Purchas LJ quoted Lord Hailsham LC: ‘Business men know their own business best even when they appear to grant an indulgence.’ They feared that, if the consideration rules were strictly enforced, the sacrosanct intentions of commercial parties might be thwarted. Other common law jurisdictions have reasoned in the same way to even more radical results. In Antons Trawling Company v Smith  NZCA 331, the New Zealand Court of Appeal held that consideration was simply not required for contractual variations, because this ‘would be inconsistent with the essential principle underlying the law of contract, that the law will seek to give effect to freely accepted reciprocal undertakings.’ And only days after MWB was handed down, the British Columbia Court of Appeal came to the same conclusion in Rosas v Toca  BCCA 191, arguing that this was necessary to protect ‘the legitimate expectations of the parties.’ Rules of contract law, then, should be jettisoned where they might interfere with the parties’ intentions. Lord Sumption’s approach to NOM clauses aligns well with this kind of reasoning, which is clearly heavily indebted to will theory. The doctrine of consideration might thwart the legitimate intentions of commercial parties, but can it be supported by ‘overriding reasons of public policy’? Mindy Chen-Wishart, for example, has argued that it instantiates important norms of fairness and reciprocity (‘Reforming consideration: no greener pastures’ in Degeling, Edelman, & Goudkamp, Contract in Commercial Law ). However, this is not a view designed to find much judicial favour. Even in cases like Foakes and Selectmove, judges have opined that English law would be better off without consideration. And the courts have generally felt that the demands of policy can be sufficiently assuaged by other doctrines. In Roffey Bros, for example, Glidewell LJ thought that economic duress could answer ‘the question of policy’ that had led to ‘a rigid adherence to the doctrine of consideration.’ Similarly, the British Columbia court explained that contractual variations could now be policed on the basis of ‘duress, unconscionability, or other public policy concerns’; the New Zealand court seems to have had something similar in mind. In MWB, the Supreme Court was silent on the issue. But its judgment seems to augur ill for a traditional conception of consideration, if not for the whole edifice. Indeed, Jonathan Morgan has suggested that the recognition of NOM clauses should go hand-in-hand with the downgrading of consideration, as we encourage party-agreed rules to replace those imposed by the law ( CLJ 589). This would be the apotheosis of will theory: a contract law that does nothing more than enforce commercial parties’ agreements and police the occasional instance of egregious foul play. The merits of this approach are debatable. But the current situation is chaotic. No doubt businessmen like their legitimate intentions to be enforced, but they also like to get clear advice from their lawyers. Until the Supreme Court sorts out the doctrine of consideration, that is precisely what they are not going to get. Bristol contract students should be grateful that they did not have to reckon with the consequences of this judgment in their exam.